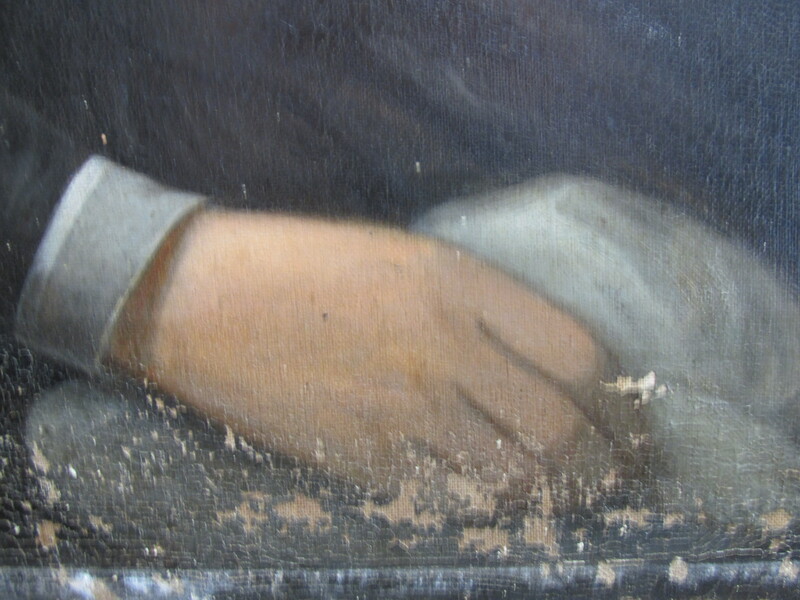 One of the joys of restoration is discovering the history of a painting; and nothing has more history than ancestral portraits. 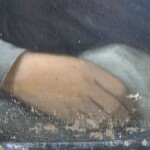 Kate Wood of Alchemy Fine Art Restorers (with some help from her researcher husband) looked into the origins of two nineteenth century portraits of the Thibodaux Family. What she found led her into a fascinating world of Civil War plunder, society painters, and the tragic impacts of Yellow Fever. The Thibodaux family, which included several prominent politicians, were a leading Acadian family of Old Louisiana for whom the county seat of Lafourche Parish is named. Family legend relates that both portraits were water-damaged during the Civil War when they removed from the wall and hidden deep in the swamps by Marguerite Bridget (Thibodaux) Tucker and her husband Joseph Pennington Tucker. Interestingly, between 1863 and 1867, three siblings of the Thibodaux family married three siblings of the Tucker family. Our first assumption was that the paintings were of “Bridget” and her husband Joseph. But who painted them? In researching the artist who may have painted these portraits, the first thing Kate noted was the lack of a signature, and loss of the large cap frame, which is not uncommon. 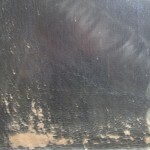 Secondly, Kate noted the high quality of the work, which makes it unlikely that this was the work of an itinerant painter (limner). It has all the hallmarks of a society portrait artist. 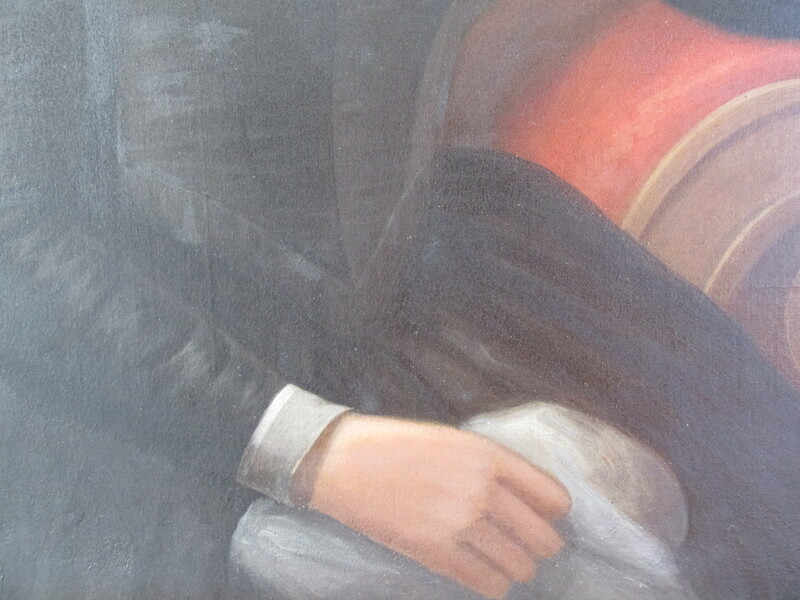 Two well-known candidates painted in New Orleans during the period suggested by the subjects’ attire and other attributes of the work (the late 1830s to 1860). While Kate took a long look at society portrait artist Jean Joseph Vaudechamp, the most likely artist for these portraits is Jacques Guillaume Lucien Amans. 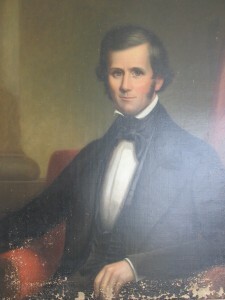 Widely considered the most important portrait painter in New Orleans at this time, Amans painted many of the prominent families of the day, including a number of Louisiana politicians. A portrait he rendered of Andrew Jackson shows his marked tendency for neo-classical backgrounds. Amans also had a knack for developing sensitive, expressive faces, as exhibited in these restored examples. 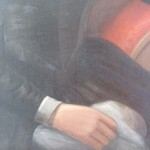 Also note a similar handling in the painting of the hands, as well as the poses used to depict the sitter. Most importantly, after leaving New Orleans in the mid-1840s, Amans lived quite near the Thibodaux family for about a decade before returning to France in 1856. The problem here is that Marguerite Bridget Thibodaux was ten when the artist moved back to France, and according to famed Art Historian William H. Gerdts (in Art Across America: Two Centuries of Regional Painting: 1710-1920), Jacques Amans never returned to Louisiana. This pointed us to Marguerite Bridget Thibodaux’s father, Henry Hubert Claiborne Thibodaux, who was elected to the Louisiana State Legislature in 1834, who was appointed probate judge for Terrebonne in 1845, and who according to legend was the first white male born in Terrebonne Parish. Unfortunately, he died of Yellow Fever at age 45 on November 11, 1855. He is buried in St. Bridget’s Cemetery in Houma, LA. Not only does he fit the typical profile for a portrait subject by Amans, but he fits the time period. 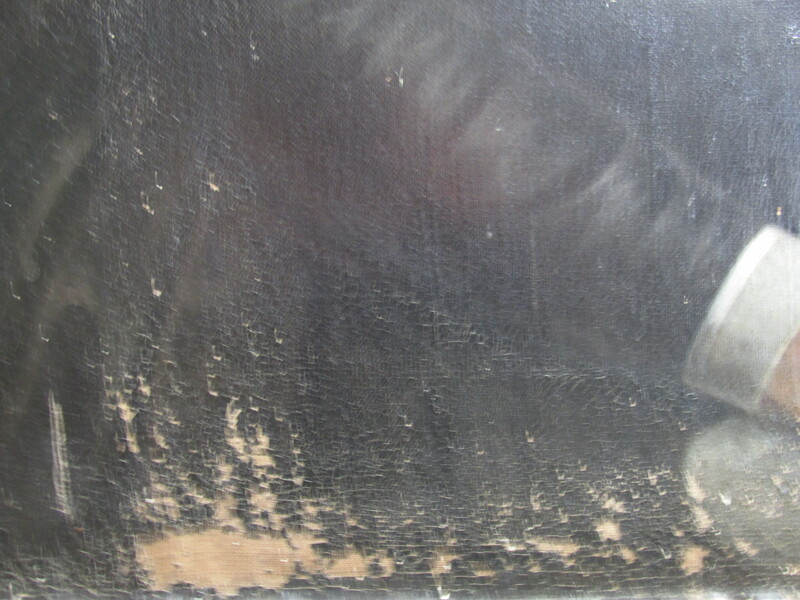 It makes perfect sense that his daughter, who was nine when he died, would have not only hidden and protected his painting, but would have taken such care of it afterwards that it survived to modern times. 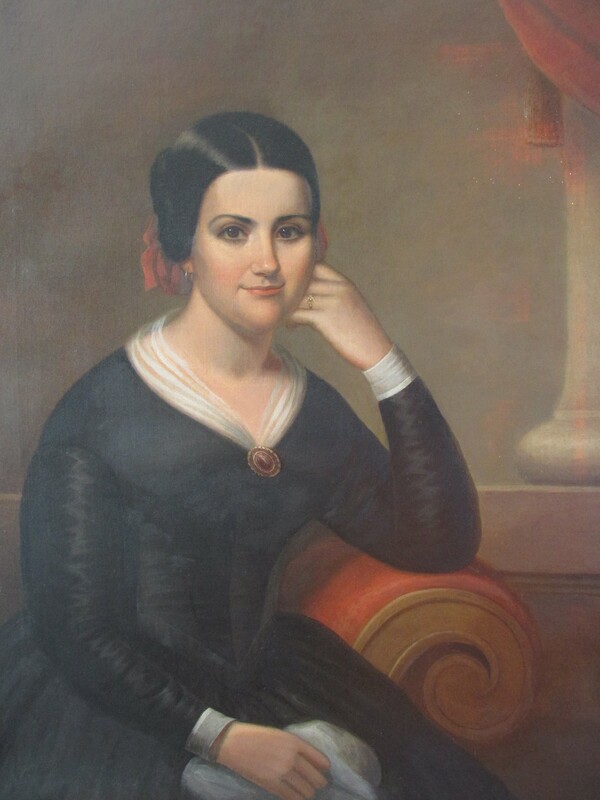 This makes the likely candidate for the female portrait Henry Thibodaux’s wife Mathilda (Toups) Thibodaux (1819-1863), whom Henry married in 1838 and who’s family had already been in Louisiana for a century by the time these portraits were painted. Furthermore, it is highly likely that Yellow Fever, which was ravaging the south, including Thibodaux, Louisiana in the 1850s, was the painter‘s primary reason for leaving Louisiana (only months after Henry Hubert Claiborne Thibodaux’s death). Lastly, evidence of Amans’ connection to the Thibodaux family includes the authorship of a thesis on Jacques Guillaume Lucien Amans by Tulane University student Mary Louise (Trammel) Tucker in 1970. She is very likely a descendent of Mary Louise Tucker – one of the three Tucker siblings to marry Thibodaux siblings between 1863 and 1867. After we did this research, the owner of the paintings followed up by contacting Nicholls State University, located in Thibodaux, Louisiania. 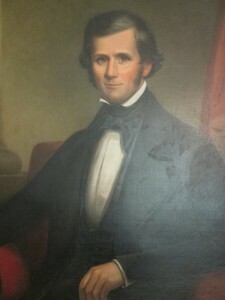 Archivist Clive Theriot confirmed that the restored paintings were of Henry Claiborne Thibodaux and Mathilde Marie Toups, per a photograph held in the University’s collections. 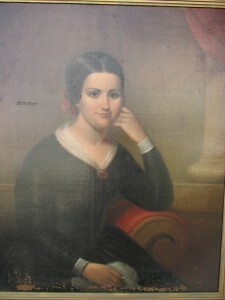 He noted that paintings also exist of Henry Schuyler Thibodaux (1769-1827) and his wife, Brigitte Thibodaux (nee Belanger). Henry S. founded the town of Thibodaux, was a President of the Louisiana Senate, and even served briefly as the 4th Governor of Louisiana. However, Theriot was unable to confirm the name of the painter for any of these portraits. Greg Leatherman manages communications for Alchemy Fine Art Restorers. He is also the founding editor of Environment Coastal & Offshore (ECO) magazine and the editor in chief of Ocean News & Technology (ON&T).